It’s been a little over two years since I returned to America after 2.5 years in Asia. I’m not going to lie: the transition has been tough. After doing super awesome and exciting things nearly everyday and become more aware of other cultures, settling back into “home” can be quite difficult at times. In fact, I feel a bit like a square peg trying to fit into the round hole that is America. 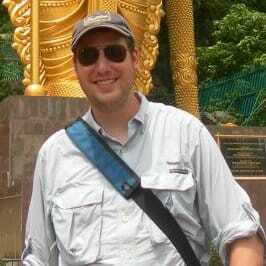 And, even though I’ve settled back into life, built up my Pennsylvania-centric travel site, UncoveringPA.com, and welcomed my first son into the world, I still have a strong urge to get out there and explore what the world has to offer. However, when I really think about it, America has a lot of offer travelers living in or visiting the country. In some ways, this post is a bit of therapy for me. However, if you’re thinking of traveling to America or planning to settle back into America, let this be a bit of a guide to some of the best parts about being in the United States. When I settled in Harrisburg, Pennsylvania, I knew I was going to be centrally located between many major cities. However, I had no idea what a great location it actually is. Within three-four hours I can be in amazing cities like New York City, Philadelphia, Baltimore, and Washington, DC. It’s also close to a ton of awesome rural areas full of hiking trails, historic sites, and gorgeous waterfalls. Admittedly though, it’s a bit sad when the best thing about your city is how quickly you can get away. It’s not just the area around me though. I visited the Pacific Northwest for the first time last fall and it was simply amazing. Despite being in the same country, so many things were completely different. And that was just the tip of the iceberg. There is a wide swatch of the western United States that I’ve never even visited. I can’t wait until I have the chance to get out and explore places like the Grand Canyon, Yellow Stone National Park, and Alaska. 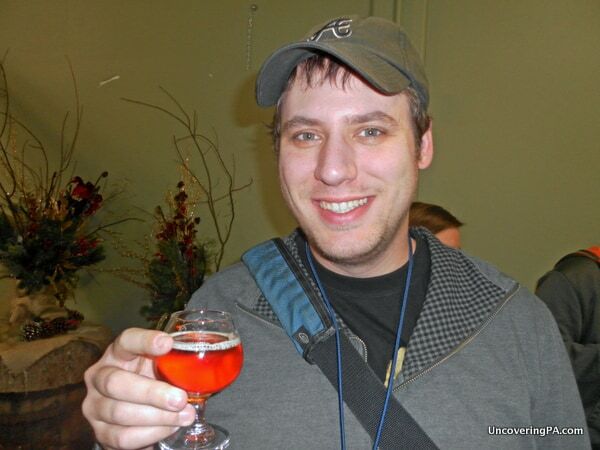 Sampling a beer at Troegs Brewery in Hershey, Pennsylvania. When I lived in South Korea, I forgot how good beer could be. However, once I returned to America, my taste buds were welcomed like a prodigal son. All around me were amazing beers in a variety of delicious styles. I was fortunate enough to settle close to one of the best craft breweries in America, Troegs Brewery, but I’ve also had the chance to try amazing beers from all over the country. The thought, though, of how many amazing beers are still out there waiting for me to discover is quite exciting. 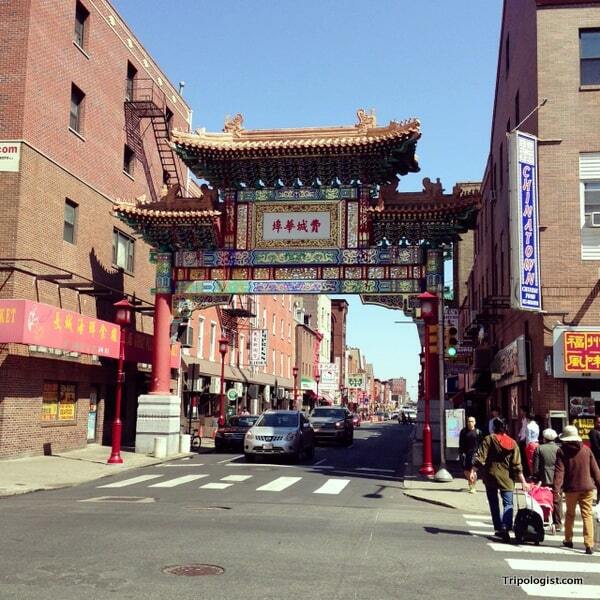 Philadelphia has a fantastic Chinatown that’s a great place to stroll or grab a bite to eat. Since America is such a melting pot of cultures, there are an endless variety of cultural activities you can do in nearly every American city. For example, a few weeks ago I was visiting Philadelphia, Pennsylvania, and in one day, I went to a German Christmas market, walked through a bustling Chinatown, and visited a Polish Cultural Center. And really, there’s so much more that you can do. Almost any major festival from anywhere in the world is being celebrated somewhere in America. In fact, you could probably spend a whole year doing nothing but exploring the different cultures of the world throughout America. In many other countries, where there is a lot less diversity, that simply isn’t possible. In the same vein as culture, you can get almost any cuisine you want in America. Travel to any large city in America, and authentic food from almost any culture is right around the corner. Even in small communities, authentic food from a variety of cuisines can often be found. Sure, it might be more expensive than in its home country, and it might not be quite as amazing, but it’s a good substitute. Contrast this with my time in South Korea, when it was a struggle sometimes to even find a decent hamburger. This is definitely one of the best parts of living in America. 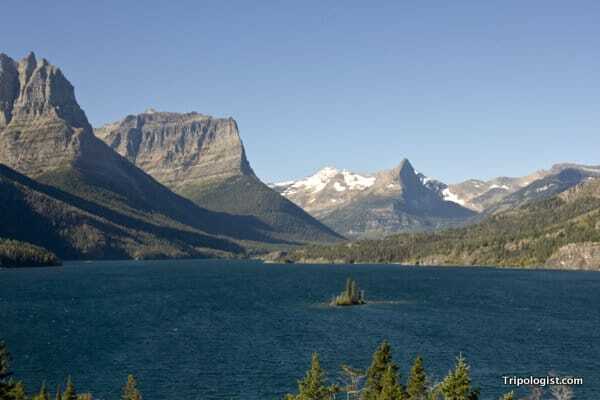 Wild Goose Island in St. Mary’s Lake is one of the most photographed spots at Glacier National Park. I’ve touched on this in each of the above points, but what I like most about America is the endless variety. You can have authentic pad Thai in the desert or authentic tacos in a big city. So, no matter what culture you want to experience or what type of scenery you prefer, you can find something in America. Do you live in America? What’s your favorite part of living here? Let me know in the comments below. Nice post Jim. I think a lot of people forget how big America is and how much diversity there is here. Most of Europe could fit in just a handful of states. Great reminder! The interesting thing about our country is not just the size nor the diversity – but even the often-ignored parts of the country (like the central \”fly over\” states) offer lots of beauty to behold. You could spend a lifetime exploring our country – a close friend of my second cousin is attempting to visit every county in the country, and still hasn\’t come close after nearly 40 years – and still only scratch the surface of everything there is to see and do. I definitely enjoyed the post, and it\’s only reinforced my desire to get out and explore even more!